The visit itself was quite pleasent but I went in for blood work and was not called with the results. Despitecalling 2 weeks after my appointment and leaving word with a receptionist that I would like to discuss the results (and being assured that someone would call me), I have still heard nothing. The visit itself was quite pleasent but I went in for blood work and was not called with the results. Despite calling 2 weeks after my appointment and leaving word witha receptionist that I would like to discuss the results (and being assured that someone would call me), I have still heard nothing. Reception was rude and not very attentive – was about to charge me a specialist co-pay price vs a regular price(they had no idea why I was there even even though I outlined specific details about my appointment in advance via ZocDoc). The nurse was friendly and professional but ended up waiting another 40 minutes or so just for the doctor (who was also friendly and professional) to tell me pretty much everything the nurse had told me. Reception was rude and not very attentive – was about to charge me a specialist co-pay price vs a regular price (they had no idea why I was there even eventhough I outlined specific details about my appointment in advance via ZocDoc). The nurse was friendly and professional but ended up waiting another 40 minutes or so just for the doctor (who was also friendly and professional) to tell me pretty much everything the nurse had told me. 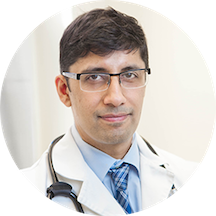 Anish Koka is an insightful and experienced internist and cardiologist. Dr. Koka graduated from Temple University Medical School and later completed his residency at Temple Hospital in Philadelphia as well. He is a fellow of the American College of Cardiology and is certified by the American Board of Internal Medicine, the American Board of Echocardiology, and the American Society of Nuclear Cardiology. Dr. Koka is affiliated with Thomas Jefferson University Hospital in Philadelphia and Pennsylvania Hospital in Philadelphia. Dr. Koka has a particular interest in stroke and how it relates to the heart. He sees a large number of patients in consultation for stroke with no apparent cause (cryptogenic stroke), and the long term management of atrial fibrillation (a heart rhythm disturbance) in patients with stroke. In and out in 20 minutes. No fuss no muss. Dr. Koka, needs to go back to school for speaking to patients. He is one of the worst Doctors, I have been to in my life. He could care less of what was wrong with you. Had to ask him whatwas wrong with my health! He wanted to get in the room and out quickly. Barely an exam. Seemed disturbed to answer any questions. Didn't offer any advice or suggestions. Had no time for your illness or concerns. No compassion on how you felt or even asking how you feel. Actually, stated "When it walks like a duck, looks like a duck, its a duck". Quite Shocking for a Doctor in today's environment! Dr. Koka and Dr. Roselli are both incredible doctors who have treated for me multiple illnesses and injuries for the past 5 years. They are both incredibly knowledgable, very thorough, compassionate, generous with their time, and always thereto help when I need them. Fantastic bedside manner also makes them some of my favorite doctors to date. Donna at the front desk has also been extremely helpful in making last minute appointments or sending paperwork quickly. Excellent practice and highly recommended!! His staff greeted me and processed me in a friendly and efficient manner.Then I had a seat and while glancing at a magazine article for a couple of minutes I was then called back. (Quickest check in for a Dr office Ihave had)Dr. Anish greeted me and I expressed to him that I was looking for both a family Dr and cardiologist.He said well I was in the right place that they had both.I had a visit with him and his coworker who is the family doctor.So I got 2 Dr visits in one day, It was very time efficient for me.My schedule is busy and I don't have time to run all over the city to find different Dr's.It was a pleasant surprise having the 2 specialties in one place especially when your sick, exhausted the way I was today.I look forward to letting them figure things out over my present health conditions once they get their readings and labs together.Its refreshing for me, the patient, when Dr.offices are efficient, quick and organized like that. My experience at Dr. Koka's office was great! It was my first time seeing him, and I arrived 30 minutes early. The staff took me back right away, and I was actually finished with the appointment at the time that itwas scheduled to start. Dr. Koka was thorough and friendly with a very good bedside manner. His staff were also very friendly and helpful. The office was very clean and nice. Not impressed...Went to Dr Koka, and my first visit went well. He did an EKG and another test in-office to see where my discomfort was coming from. My issue is that he said if I was continuing to have further painto come back. A week later I was and I called the office and the girl who answered the phone was giving me the run around about coming back. She put me on hold to talk to the doctor, then said I'll have to call you back... after calling me back she asked what my symptoms were again.. then said she was going to talk to the doctor again and call me back!!!! I waited for an hour and finally called her and said never mind I will go to my primary care doctor. She said "um, ok and hung up" This is no way to treat someone who is in discomfort. Clearly there was no caring or compassion for my concerns. I am curious to know if Dr.Koka knows this is how his secretary's are handling issues. For this reason I don't feel confident in the practice and will not be returing. Dr. Koka was very friendly and professional. Wonderful and courteous staff at all points of appointment. Check in was very easy and efficient with minimal wait time. Once taken to room, all personnel were professional and thorough and very organized throughout process. Highly recommend! I will never go back due to the doctor didn't want to listen to my needs and didn't do the check up that I asked for. I sat in the doctors room for about an hour after I waited 45 minutesin the waiting room. After I walked a long time just to get there I now have to schedule a another appointment with someone else and take more time off work. Zocdoc set me up with Dr. Koka despite the fact I only required primary care and he specializes in cardio...I felt pretty silly while in the waiting room, but Dr. Koka was super friendly and provided primary-care-expertise nonetheless (and even referred me to a primary care doc). Great experience. Very personable and professional. Seen extremely quickly. Excellent treatment, small waiting time. AAA! This is my first visit. My first impression was that everyone was very polite. It was encouraging to have the PA (physician assistant) and the Doctor give feedback to my questions. Thank You. The office was busy and I had to wait about 15 mins past my time but the doc was very good and detailed. It was worth the wait. Seemed like a good Doc. Not a primary care doctor though. He's classified inaccurately on this app. He's a cardiac Doc. From time of checking in (was a few minutes late, because though I left time to arrive early, parking was a slight issue being center city Phila), to the time the doctor saw me was very brief. In fact the doctorhad seen me before the triage nurse was there to take my vitals, which is very quick. I described my symptoms, and he had an immediate idea what to check for, without needing to generally check everything as might often happen with many practitioners. Within a minute or 2, he had the correct diagnosis, and a course of treatment readily available. The visit was great! I was brought right back, my concerns were listened to and we started the process to figuring out what is going on. They were even able to start with two of the needed tests that day in order to save me a visit back. The team at Dr. Koka's office is fantastic. I was seen right away, online paperwork was a breeze and the office is in perfect order. Dr. Koka and his NP were both with me during my visit and listened to myconcerns and recommended specialists. I felt very well cared for and am looking forward to my followup with the Dr. Roselli in a few months. I had a very pleasant experience at my appointment. I had the first appointment of the day, I only waited a few minutes and the entire staff was very nice. Made an appointment with Dr Koka within an hour after my first ZocDoc appointment unexpectedly canceled on me, same day. Not only was Dr Koka's office able to get me in same day, they took me in right away when Iarrived 20 minutes early. Super friendly and efficient staff! Dr Koka is a Cardiologist, but I will be back for my annual physical with his colleague Dr Roselli later this year, who is an Internist. Great experience, I'm almost happy that the first doc cancelled on me! It was quick and easy! The staff was attentive and their use of tablets to note all patient information is a refreshing change to old systems. Dr. Koka has great bedside manner and insisted I follow up. I like him and his practice is nice. good staff. Professional, knowledgeable, courteous and truly care for their patients - Highly recommended. My visit to Dr. Koka's office was the most pleasant and rewarding experience. I was met by the nurse, Donna with a smile that would make the sun stand still. My wait for the Dr. was no longer than ten mintues.The Dr. came in knowing my name and had reviewed the comments regarding my visit. The bedside manner of Dr. Koka was beautiful. He was warm, a good listener, and very concerned about my well being. I would recommend and encourage all my Family and Friends and others to CHECK HIM OUT!!!!! Dr. Koka was very thorough during my visit. I see many specialists besides Dr. Koka, but he took the time to ask questions about my treatments and how my doctors all are on the same page for my treatments....very personable andI did not feel rushed. His office staff was also friendly and courteous as well. Attentive caring and very professional. I Highly recommend! Easy, thorough, and polite. Showed concern, and listened well. Dr. Koka is a wonderful doctor and very good at listening to your problems. We never feel rushed. He goes beyond being more than a doctor. Makes you feel special and concerned. I wish he had an office in Reading, Pa.I feel he saved my Husband 3 times. He don't fool around he get things done and makes the calls himself to get things going. I feel he is the best Heart doctor and friend. Thank you Dr. Koka and your staff. They are very special also and helpful. Darlene Litwin My husband said he has all the faith in the world in Doctor Koka. I like it when a doctor listens to you. This doctor not only listens he takes actions to ensure you do not worry anymore; because other doctors may have gave you information about your health that was false. He reminds meof the doctors the United States once had. I hope to send my family to him and other doctors associated with his office. Great staffing at the office.